We’re all shaped by our Sales Wounds™ – the limiting beliefs we all hold about money, sales and success. This book gets you thinking about these limitations in a new way, as well as offering a prescription to begin healing them. Pre-order your copy today for half price! 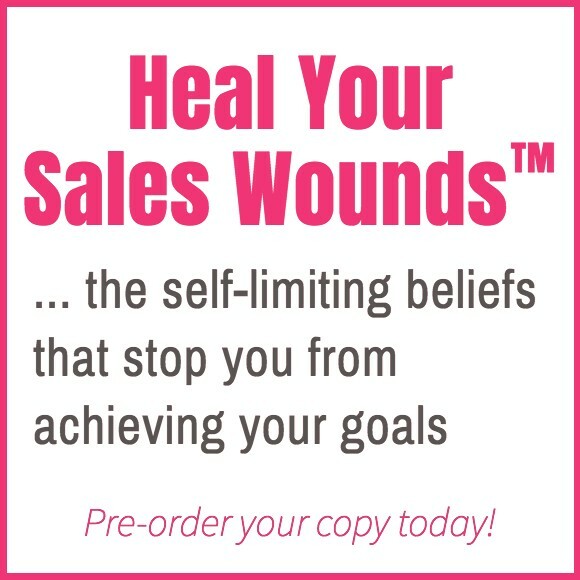 The 6 Primary Sales Wounds™ – A new way of thinking about the self-limiting beliefs that have always kept you from succeeding in business and sales. Begin to heal these Wounds – By looking at the thought patterns behind these self-limiting beliefs, the author provides a prescription for beginning to change your old self-limiting beliefs and take on new, more empowering ones. Case studies and examples – Years of research have gone into the making of this book. Hear stories of real people who have wrestled with these issues – and healed them by using the tools and suggestions in this book. Copyright 2019 Julia Kline. All Rights Reserved.